D-tree International harnesses the power of mobile technology to improve the quality of healthcare delivery by supporting health workers and their supervisors to consistently provide better care to their clients. D-tree's partnership model focuses on supporting existing health systems and programs by collaborating with governments, funding agencies, and NGOs to support frontline health workers in communities and at health facilities. The starting point of the work is the development and delivery of electronic protocols on mobile devices that guide health workers by prompting them to ask specific questions and take appropriate action. This is supplemented by supervisory tools, dashboards, motivation schemes and integration with health information systems and behavior change communication programs. 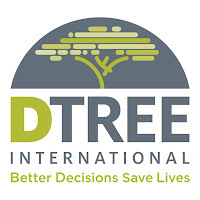 D-tree has been a pioneer in the field since 2004 and currently has active projects in Tanzania, Malawi, Kenya, Ethiopia, Rwanda and Liberia. In close collaboration with NGO partners and Ministries of Health, D-tree has trained thousands of health workers and supervisors to use our tools to strengthen health systems. We are seeking a full time Finance & Administration Manager in Dar es Salaam responsible for office management, accounting, human resource, grant administration and local NGO compliance. This is a dynamic and challenging role requiring an individual with a passion for innovation and a desire to support the improvement of quality of health care for underserved communities. You are motivated and efficient. You are someone who is comfortable working independently in an office setting as well as with colleagues in remote locations (including Zanzibar, Malawi, the US and others). You excel at multitasking and tracking small details and as well as thinking about the bigger picture. You are a motivated professional who is willing to wear multiple hats and do what it takes to make our office and administration systems function and serve our teams resulting in successful programs. To apply for this role please follow the instructions below. Applications which do not meet these requirements will not be considered. Cover letter, clearly and concisely explaining how you meet each of the required skills and experience specified above. If you are not contacted by 10th November please assume that your application has not been successful on this occasion. Due to the expected high level of interest in this role it will not be possible for us to contact those candidates who have not been shortlisted for interview. Many thanks for your interest in D-tree International.